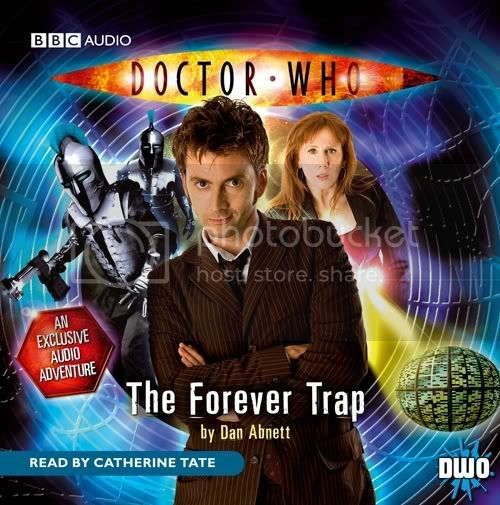 BBC Audio have released the cover’s for the last two radio plays, The Golden Age and The Dead Line. The first radio play , Asylum, will broadcast on 1st July at 2.15pm on BBC Radio 4, the second and third radio plays, The Golden Age and The Dead Line will air on 2nd July and 3rd July at 2.15pm on BBC Radio 4. Both CD’s are scheduled to be released on 6th August at a rrp of £9.78. Golden Age written by James Goss. The Dead Line written by Phil Ford. Asylum written by Anita Sullivan. 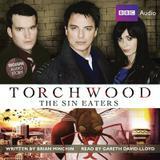 BBC Audiobooks have released the cover and synopsis for the next Torchwood audio exclusive, The Sin Eaters. This audio play is written by Torchwood script editor Brian Minchin and is read by Gareth David-Lloyd who plays Ianto Jones. The story is set somewhere between Exit Wounds and Children of Earth, which is excepted to air in either mid-June or July. 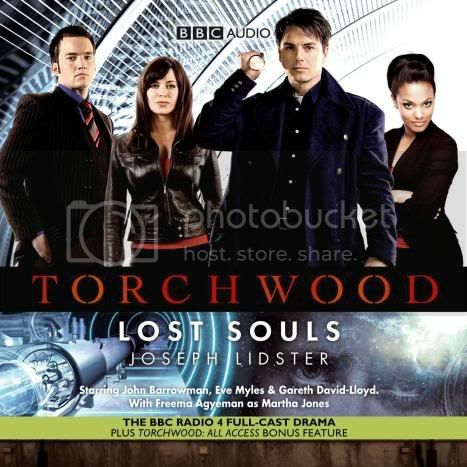 Written specially for audio by Brian Minchin, the Torchwood TV series assistant producer, ‘The Sin Eaters’ features Captain Jack Harkness, Gwen Cooper and Ianto Jones, as played by John Barrowman, Eve Myles and Gareth David-Lloyd in the hit series from BBC Television. 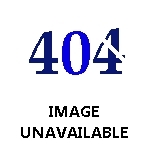 It contains adult themes and language. The CD will be released on 4th June and will sell at a rrp of £ 12.99, however you may be able to get cheaper using internet shops. The cover can be seen below. 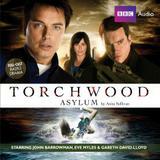 BBC Audiobooks have released the cover and information regarding the next Torchwood audiobook, In the Shadows. 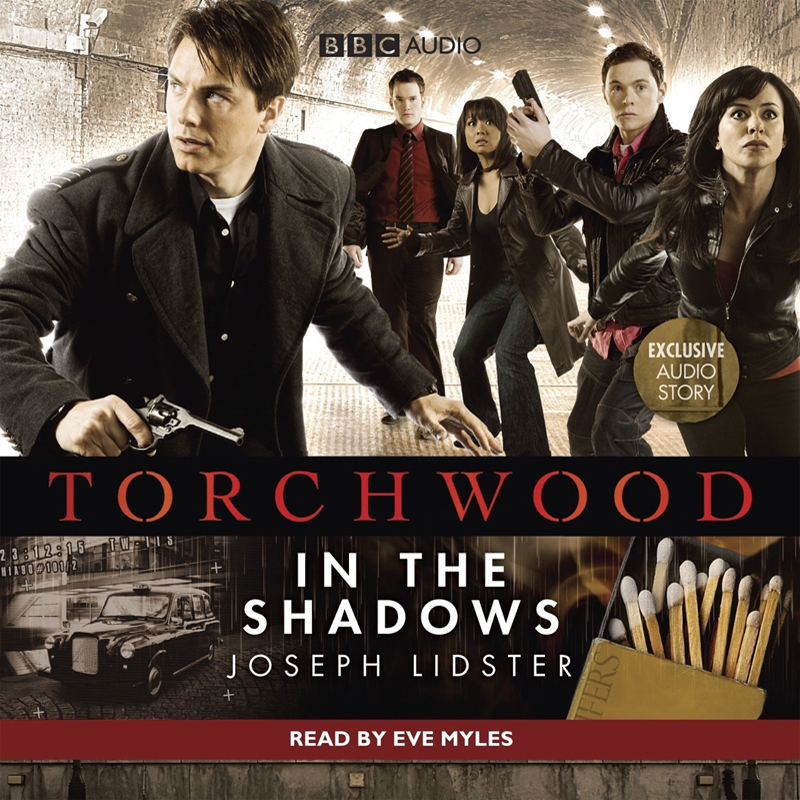 In the Shadows is written by Joseph Lidster and is read by Eve Myles, the CD is priced at £12.72 but is priced £8.90 on Amazon here. A man has died of old age in his 30s. This, among other strange events, has lead Torchwood to conclude that someone is sending victims to another dimension, one in which they are punished by the thing which they fear the most. Who is the mysterious taxi driver preying on his passengers? Silva Screen Records have released news that the soundtrack for the fourth series of doctor who is to be released mid-November. 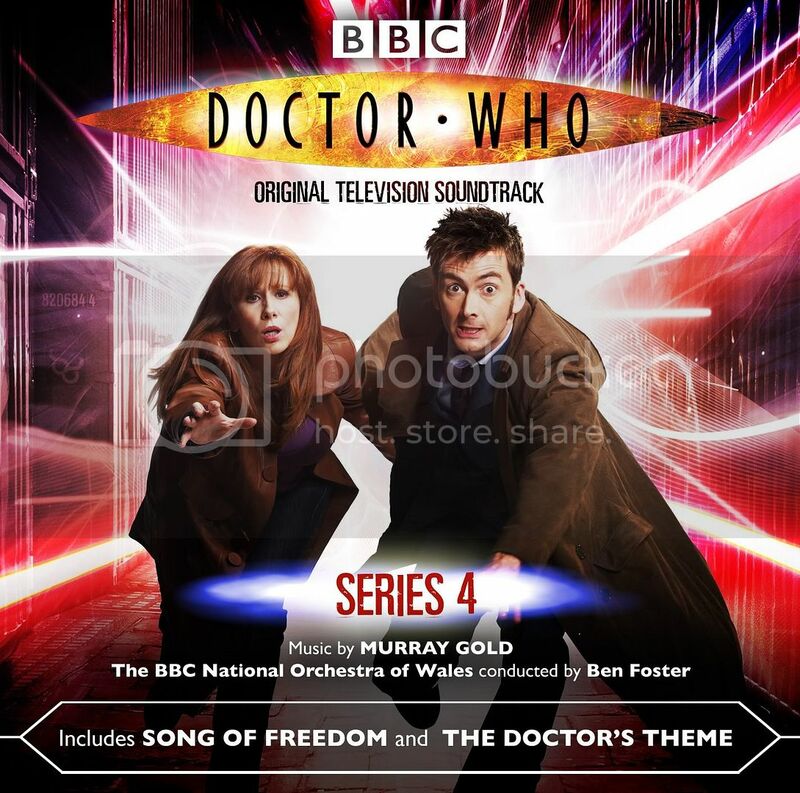 No track listing has been announced for the release yet, however it is is confirmed that the song for freedom and the doctor’s theme are on the cd. The cover for CD release of the BBC Radio 4 play, Lost Souls, has now been released. The CD is to be released on 11 September with a rrp £9.99. The cover can be seen here and the CD can be pre-ordered from our store here. Silva Screen records have now released the tack listing for the forthcoming soundtrack release due out 22nd september. The track listing is as follows. 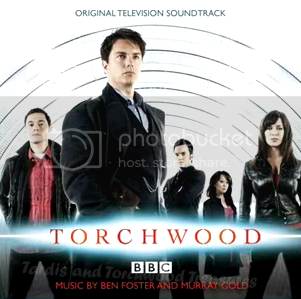 Torchwood Magazine issue 6 and Silva Screen Records have confirmed that a Torchwood soundtrack is in the works, the CD to be released early 2009 will include music from both series 1 and series 2. we will have more news on the cd when it is released.